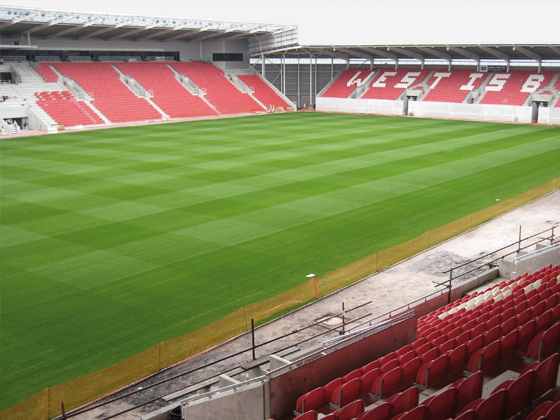 The design of this stadium for Llanelli Scarlets RFC is a prime example of Integrated design, fabrication and construction processes. The design was carried out in a 3D environment with the models being exchanged between architect, engineer and the design and build contractor. This enabled a very fast start on site within six weeks of our appointment and the completion of the first stand within six months. The high quality of information produced was underlined by the fact that there were no ‘Requests for Information’ raised after the start on site.